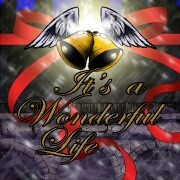 Morpheus Theatre is pleased to announce the cast of It’s a Wonderful Life. Morpheus Annual General Meeting Sept 12 at 7:00pm! Morpheus Theatre is seeking a music director/educator for its G&S Junior Theatre School program. This is a contract position beginning mid-October 2016 until mid-May 2017 (approximately 50 to 60 hours of classroom time). The remuneration for this contract is set at $2000. The program began five years ago and since it’s inception has doubled in size–building a strong community of young artists while fostering a love for the works of Gilbert and Sullivan. Working within the spirit of community theatre, the program is inclusive and works to develop the skills of young artists in a safe, fun and inspiring environment.